Markethive is the new Market Network. You all know what a Social Network is and we can probably identify is MySpace but in reality 6th degrees gets the distinction as the official Social Network established in 1997 (to be noted Veretekk, a social networked automated marketing platform started in 1996). With that said, the burgeoning Social Network revolution really gained steamed as Facebook and Twitter took the field and dominated the market in 2006. Poor Myspace launched around the year 2000, but the marketing and shear investment brought Facebook to prominence crushing poor underfunded MySpace in the process. We do not want that to happen with Markethive. We are the David and we will be facing Goliaths as we move forward. As it stands right now, we are ready to fully launch and need the capital to do the launch right and BIG! We have been pursuing venture and angel capital for several months now. Getting pretty close. But something amazing happened yesterday…..
Venture capital started pursuing us. Yes, the word is out because of the power of Markethive’s blog platform and reach, we were contacted yesterday by a capitalist who saw our broadcasts and began seeking us. And now we are in negotiations with them. This may or may not be the final bell, before Markethive funds millions and starts the launch procedure to begin the ascension to top Market Network. It may or may not be your last chance to hitch a ride for practically nothing. I know, $500 is a lot for people who have limited resources. But let us play the what if game OK? LinkedIn posted 2.9 billion in revenue in 2015. That is right Two Billion 900 million in cash revenue. Markethive has all the potential to achieve that and even more. I have always believed this to be the case. Now what is 5% of 2.9 billion? It is $145 million. 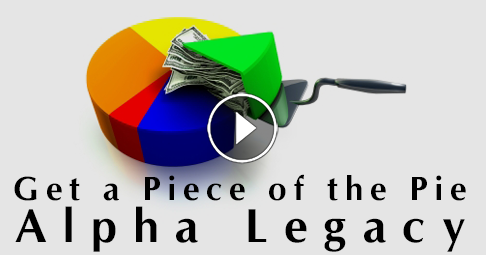 Now divide that number by 250 shares (Alpha Legacy shares) and you get $580,000 dollars. That is ½ of a million dollars. I would say that a $500 contribution is a mighty small amount to leverage that potential. Every year and growing, would that make a difference in your life? And the BOD contributors that paid $4800 for 1 share of 100 will share 20% of this potential revenue. Looks like we night be cruising toward creating 350 millionaires, doesn’t it? BTW: There are about 10 of those 100 BOD shares still available. Exciting times Markethive is entering. See you at the meetings. The Alpha Legacies are limited and will be gone within a few weeks. Seeing a miracle, the people of one town assumed Paul was a pagan god. They started to worship him. But they were just as quickly persuaded to try to kill him. How could someone jump so quickly from love to hatred? When you make a person an idol, you cannot really love them, for you’re seeking something from them that they are unable to give you. The same way an idol is chiseled from stone, you “chip away” at someone who fails to please you. This causes you both great harm. The person believes you love them. But when you try to make them fit your idolatrous heart, your words and acts cut them deeply. Is there someone in your life who is feeling pain because of your idolatrous heart? Curious about how some of the top business leaders spent their time, John Rampton (CEO of Due) and Chris Stowell (VP of the International Center for Management and Organization Effectiveness) conducted a survey of 163 Fortune 500 companies to find out how leaders in the industry schedule their days to stay productive. Survey respondents included leaders of Adobe, American Express, AT&T, Bank of America, Boeing, BP, Delta, DHL, FedEx, Google, HP, John Deere, Kellogg’s, Johnson & Johnson, and Twitter. This is a wind down period, and allows me to evaluate the day’s work, think about the greater challenges, gradually stop thinking about work, and reach a state of tiredness,” he writes in a post on his blog. This advanced tool can significantly extend, as well as adjust, to the speed of the user’s website. The Tagove WebRTC and Flash Technology have the capacity to support all features of the Tagove tool in different browsers, tablets and Android mobiles. Live Text chat is the most effective method of communication and offers users a quicker live chat feature through which you can send your message to buyers without delay. Moreover, the tool has an instant file-sharing feature through which you will be able to share files with a customer. Tagove Live Voice offers a one-click call button on your website through which customers will be able to communicate with you at no cost. The Live call feature also works with all browsers, even in situations when the internet connection runs haywire. Tagove offers screen sharing and co-browsing features along with the Live call without the need for software installation. Our co-browsing and screen sharing features will allow you to track customer queries in real-time. With the help of a cloud-based technology, you will be able to share files with customers and the customer can also do the same with your executives on this platform. Call recording is essential for maintaining outstanding customer relationship management (CRM). Proper training for customer care executives can help them to augment the quality of the CRM process. This tool will enable you to format promotional activity for new products once they are added to your webstore or site. The success of social media often depends on timing, which is a constraint for business owners. Mento will enable you to create content as per your convenience, no matter which platform it needs to be posted on. It will also enable you to set up promotional posts for new products that are going to be posted on your sites either days or weeks in advance. The software will enable you to coordinate with your team in order to work on marketing as well as product promotions from a single interface. You can devise and schedule future campaigns with personalized branding. This is one stop solution for all need of a sales person. This helps sales people to use and manage customer history, database, and follow-up with efficient manner. Whether it is features, report or dashboard, you can customized everything both – on-premise and online version. With full data mining features, it helps you predict sales forecasting and decide where to invest and put optimum resources. Criteo makes use of the latest sales data and consumer behavior trends in order to create ads. The software utilizes an extensive publishing network of direct relationships with 16,000 publishers at the global level which offer access to the best ad placements. Criteo makes use of the post-click sales model in which a conversion takes place only when a user clicks on the ad. One of the major advantages of using such a model, that according to search experts, is that sales managers can generate an impressive number of email alerts for visitors who come to their site. Sales staff can also detect the keywords that have been used by specific visitors to assist a person who has completed a form on their landing page to qualify. The software works seamlessly across numerous devices such as mobile, web and apps. It helps you to organize the visual elements of your brand instantly into ads that have a high probability of maximizing sales. The cost-per-click model followed is directly related to the performance of a campaign. The software will enable you to provide more personalized messages and ensure that they are delivered to customers on time with the help of an advanced rules engine. As a result, you will be able to ensure a high level of customer satisfaction and retain your customer base. The quality of customer care service offered will, therefore, match the expectations of customers. A simple integration will enable you to send the user data from either your web or mobile app. Once the installation is complete, you can start sending emails. It can help you to maximize engagement and revenue, as well as to maintain customer experience. The software will provide you with campaign reports, including analytics, which you can use for measuring your campaign’s level of success with opens, clicks and conversions. Loyalis will offer you with the opportunity to know your customers better through its CRM. It will allow you to gamify your board by initiating the use of a ranking board. Efficient tracking of customer behavior will be made possible through access to business intelligence tools. You will also get a social network breakdown for your most important and loyal customers. Engagement will be streamlined through perfect integration with your webstore. Loyalis offers users the feature of ROI analytics. Everything that the software does can be viewed on the dashboard. It will assist you with determining how your loyalty program can help in sales enhancement. You can review and track all interactions and detect the exact action in which the visitors perform the highest and where should you exactly lay emphasis. Loyalis also offers users with additional data in the form of shopper analytics. It will enable you to see what and how much your buyers like or share in social media, what type of products they review and the types of products they are using. As a result, you can devise your marketing strategies according to their activities across different social networking sites. 1. Good news- IF God is the source of your hope, then your hope for a change can never be in vain . Amen. Roms 15:13 " Now the God of hope fill you with all joy and peace in believing, that ye may abound in hope, through the power of the Holy Ghost.” Key – Hope is what fuels your faith and builds up your expectations . 3. Because God is the source of hope , then your case cannot be hopeless. Key? Hope is a spirit and as long as God the source of your hope lives in you , then I would advice you "don't quit." Lam 3:26(Amp)" It is good that one should hope in and wait quietly for the salvation (the safety and ease) of the Lord ." 4. Hope is what builds your expectation. Without hope you won't have any expectations. As long as you have hope, key- "God is at work" . see how scripture puts it .Lam 3:21(Amp)"But this I recall and therefore have I hope and expectation .” Why? you cannot have hope, if God is not working on your case. 9. Our hope in Christ is a sign that what we believe is "there" in the heavenly realms; but the key to unlocking it is our faith mixed with patience. James 1:4" But let patience have her perfect work , that ye may be perfect and entire , wanting nothing " without defects . Amen. 10 . Hope is like a man who already sees how his end will be and he keeps walking by faith . Proverb 4:18 says "But the path of the just is as the shining light, that shineth more and more unto the perfect day." " hope has a voice which says it is not over yet"
Prayer: Father help me to stand strong now in Jesus name , Amen. Being an authority figure in the online space should really be the goal of any website. When you are an authority figure you have the power to socially influence through your actions and words which means you hold a great deal of power & trust in front of your audience. The Bing Webmaster Blog recently put out a great piece on being an online authority which I think everyone should read. Please keep in mind that being an authority figure does not come from slapping together a mediocre plan. It takes though and dedication to put together a fierce action plan. 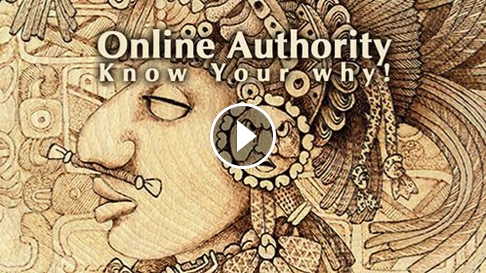 Being an authority online comes with huge benefits. Basically there is no down fall to being an authority figure in any industry but if you truly want to get there you have to lay out a path in the right direction to make it happen. If you are just getting started in your space you are not going to influence anyone overnight. Authority requires seasoning and experience in a space along with being able to present that experience in the right manner in front of your target audience. You want your audience to come to you for advice and help. Once they start turning towards you for help that means they are starting to look at you in a whole new different light. If you want others to share your material you are going to have to share their material as well. Encourage proactive content sharing so your audience can learn from not only you but from the people around you too. This will allow you to become a central hub which is really the focus of your efforts. Its generally held that when an engine assigns deep links to the content of your website, you’re an authority. And while this is more or less true, the engine seeing you as an authority happens well in advance of those links appearing. As you produce useful content, we try to match that useful content against queries. If the actions searchers take indicate they are pleased with your content as a solid resource, then we try you again the next time. This testing happens a lot. Hundreds of thousands to millions of times, depending on query volumes and content matches. We watch the patterns of interaction and soon enough, those resources that searchers seem to be particularly pleased with start to float to the top. We’re not just talking click-through-rates here, either. We’re talking the entire signal-set that influences ranking at work here. Do you have unique, useful content? Check. Do you produce new content frequently? Check. Do you have a solid history? Check. Do you have trustworthy links pointing at your content? Check. Do you have an active social presence? Check. Do people retweet and like your social content? Check. What can you do to your own site, or could a competitor do to you, that will nuke your trust and therefore rankings? “I always think that links have a positive or negative value. Let’s say the BBC gives you a +10,000 and a spammy blogspot link gives you a -100, you still have a positive 9,900 score. The problems occur when the BBC get hit with a link selling penalty, if your backlinks have fallen into negative equity things go south quickly. Bad Neighbors – If your links are not paid but still associate you with the seedier parts of the interwebs, don’t be surprised if you are seen as guilty by association. Comment Spam – Leave the spam up, get it indexed, and watch your results rocket to the bottom. It’s the “broken windows” theory of SEO. Unnatural Growth Patterns – Google will look carefully at your link growth for any signs of unnatural acquisition. This isn’t to say that if you get on the front page of Digg and garner 20k visitors and as a result, 100 fresh links that you will be penalized. What is likely though is they will take a closer look if your brand new domain arrives out of the gate with one page of content and 10,000 links overnight. Lack of Link Diversity – Are your links coming from friends and your own sites or are they arriving naturally because your content is awesome? Thin or Spammy Content – Duplicate, scraped or feed content, or spammy gibberish is likely to get marked down. As you would expect, Google is aiming to promote the highest quality. They will use human checks, algorithms and watch the behaviour of their customers to see if what they are delivering meets expectations. So the first element to emphasize is make your site evolve as naturally as possible! Just made another Markethive capture page. They are free of course. Go get yours. There’s only one God — and it’s not you! We might not think of Control as an idol. Yet anything that we come to value more than God, is an idol. And as humans, we love to feel like we are in control of our own life, our destiny. We believe we have control over our health, our job, our finances, and our relationships. However, that’s not the case. There is only one Sovereign, one Master of the Universe, and it is God, not us. We can take care of our bodies with proper diet and exercise. We’re told that this will allow us a long, healthy and full life. But how long will we really live? That’s up to God. There are no guarantees no matter how hard we try. An accident or attack can end our life at any moment regardless of how careful and healthy we are. Because of this, we can’t trust ourselves with our lives. Rather, we must put our trust in God, for He has each moment planned. There are countless articles here on the internet that explain how to gain success from business, schooling, and changing your mindset. But, does that mean that success is guaranteed if only we just work hard? Not necessarily. Just as we believe we can control our own success, we believe we can control other people’s decisions and opinions. But, can we really? “As for my companion, he betrayed his friends; he broke his promises” (Psalm 55:20). Even if we are loving and kind, those closest to us can disappoint or even betray us. Marriages, can result in infidelity, friends can break promise, and children often go astray, even when we parent them the best we know how. Other people are simply not under our control. So, what does this all mean? Should we stop trying to care for our bodies, stop trying to make plans, or to stop building good relationships? No, the Bible tells us that these are all important (1 Corinthians 6:19; Luke 14:29). It does mean that we seek God’s will above our own, and remember every day that His plans are the ones that will never fail! The more we submit to His will and His plans, the more we will experience His peace and joy — even when things don’t turn out the way we planned. Lord, forgive me for thinking I am in control of my destiny. Thank You that my life is in your entirely capable hands. Help me seek first Your Kingdom (Matthew 6:33) and trust you with my life. You need to initially be clear about exactly what you desire. They know exactly what they do not desire but they don't know what they do want. Ask somebody if they could have anything they desired in life and 98 out of 100 people will start to describe everything in their life that they don't like. They will inform you what they don't want however have extremely little concept of what they truly do desire. So the very first step in getting what you want is understanding what you desire! Next you require to know why you desire it. Every desire, desire or objective begins with a feeling. If you can identify the feeling behind your desire and duplicate the way you will feel if you were to have that desire you will definitely receive it! Next compose down your goal. Ensure you include the sensations that will be stimulated when you have your goal. — "I feel immensely grateful for my brand name new Mercedes SL Class sports vehicle. Every morning I feel exhilarated as I open the magnificent black metal door and climb into the black nappa leather-bound driver's seat. It feels as comfortable as an armchair. When I start the ignition and I smile approvingly as I reach down to move the equipment stick set in its burl walnut wood fitting, the engine purrs into life. When I speak gently the voice recognition system instantly shocks the CD gamer into life and my preferred tune fills the surrounding location. The drive along the street is so smooth and the engine is so quiet I feel like I could be drifting on a cloud. Gratitude and delight start to fill me as I understand that I produced this." Next imagine your objective while you repeat your composed declaration. Feel the sensations associated with it. Make sure that you remain favorable and focused throughout the day. Never ever permit aggravation to sneak in or impatience. When you end up being restless you are verifying that you do not have your objective. Stay focused on the sensations that you understand you will experience when you reach your objective. There are a limitless number of methods you can get your desire. If you can cultivate a strategy for achieving your desire that is even better. The last step is basic– take some action. Do something no matter how little that will get you closer to your objective. Organize a test-drive, go look at homes in the neighbourhood you desire, ring pals and invite them out to dinner. Do something! When we take a little step forward deep space will take 10 actions to meet us. Follow these easy actions and your objective achievement is guaranteed. Disney has had talks about a potential acquisition of Twitter, we’ve confirmed. They’re working with bankers now to determine whether the deal makes sense, multiple sources have informed us. While some reports have suggested that Twitter could fetch $30 billion, we are hearing that the price tag is much lower. Twitter stock is currently trending upward on the news, and Disney’s downward. At the end of last week, Twitter’s market cap was below $13 billion on Thursday, before rumors of a possible Salesforce acquisition broke. Twitter’s market cap is now almost $20b, suggesting that investors believe it could optimistically fetch that price. Disney, which owns media properties like ESPN and ABC, is hoping that the social media platform could amplify their reach. Twitter has also been dabbling in content partnerships, including one with the NFL. Successful implementation of these partnerships could also prove to be beneficial to a media conglomerate like Disney. Twitter’s live streaming efforts with companies like the NFL and its own Periscope platform have reportedly sparked interest from some acquirers. Disney’s ESPN, of course, has had its own struggles with revenue recently but still accounts for a huge portion of Disney’s value. Twitter’s streaming of NFL games on the web and in its apps are powered by BAMTech, the tech spinout of Major League Baseball’s MLBAM. So any acquisition would likely not be about hard tech in this arena but instead the combination of live streams and commentary shown off by Twitter’s Thursday Night Football experiment. Because of the decline in cable viewership, companies like Disney are looking for new platforms to expand the reach of their leading brands. ESPN and ABC could benefit from greater digital video partnerships and social media integration. Ultimately, this combination would be about re-imagining distribution platforms and building a long-term vision for a real-time content powerhouse. News of the deal has been juiced a bit by the fact that Twitter CEO Jack Dorsey serves on Disney’s board. News of Disney’s interest was broken this morning by Bloomberg, and as far as we know the deal has been being worked on for a bit now. There are plenty of roadblocks to a deal like this happening, not the least of which is Twitter’s major issues with abuse and its one-time stance as a bastion of free speech. Disney has had a mixed record with free speech issues in the past, having once essentially torpedoed the distribution of 1997’s Kundun, a movie about the Dalai Lama critical of China’s relations with Tibet. Disney’s not alone there, Universal dropped its bid to distribute Kundun so as not to offend the massive Chinese market. But the incident illustrates the rocky relationship media companies have with controversial free speech issues. Twitter is also a bridge network that has attempted to court a variety of media-rich companies from the NFL to every major publisher. As a distributor of news and commentary platform, Twitter’s strengths lie in at least some amount of agnosticism when it comes to media companies. How having it owned by one of the largest content businesses on the planet would affect that efficacy is doubtless a part of these discussions. We’ve reached out to Twitter and Disney for comment.